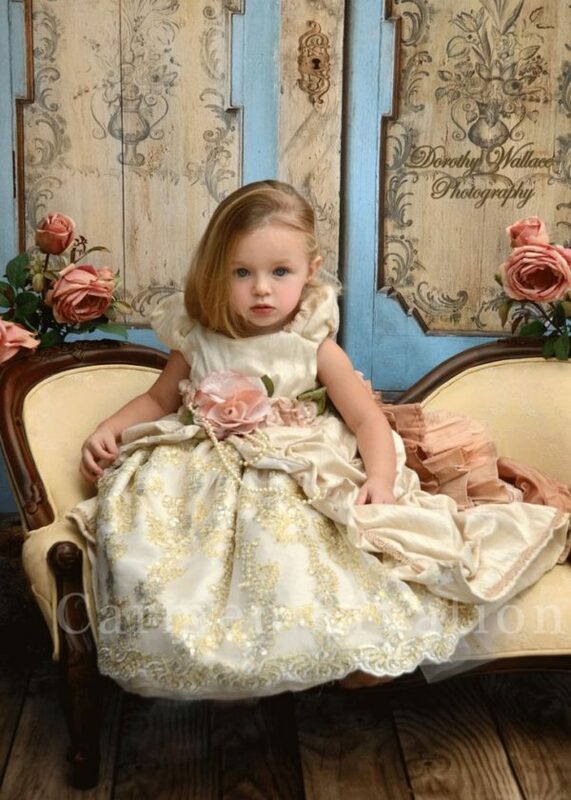 Our Champagne Princess dress is one of our newest style. This dress is guaranteed to turn heads. Made from high quality chantue, french lace and trim.